As ICE District impacts Edmonton’s office vacancy rates, industry leaders look at the future of working in Edmonton, both downtown and on the outskirts. Over the past year, Edmonton Tower and Enbridge Centre opened their doors as the first office buildings in Edmonton’s ICE District. The area, now a beacon for Edmonton’s future, is set to flood the city with millions of square feet of premium office space as the city experiences high, worrisome office vacancy rates. Many industry leaders are wondering if ICE District could end up working against the city and its own goal of centralizing Edmonton in its downtown core. According to a report released by Avison Young, Edmonton’s office vacancy rate has nearly doubled since last year, from 8.7 per cent in the first quarter of 2016 to 15.1 per cent in the same quarter this year. Granted, the leap includes the opening of Edmonton Tower and Enbridge Centre, which provided the downtown market with a combined total office space of 1.7 million square feet, but Avison Young’s report is quick to point out that these new spaces are already filled. It is not the top-tier buildings opening that will have issues, but rather the offices being vacated that could be the problem, especially as vacancy rates climb to above 20 per cent in the coming years. This tiered effect is already happening. Downtown spaces, especially those on 104th Street, have experienced a steady uptick in rental costs since the arena was first announced. Despite ICE District’s push to bring business downtown, the migration has been slow due, in part, to rising rental prices. The fact is, 104th Street has seen businesses leave as rent prices steadily go up, sometimes by as much as double, even though vacancy on the street remains a problem. As businesses on 104th Street open and either close or leave, Edmonton’s first coworking space, Unit B Coworking, has stayed. The space, which offers desks and collaborative office space for small-to-medium businesses, is a success story for businesses moving downtown. Jas Panesar and Sam Jenkins, who run their business out of Unit B Coworking, argue that success is in part due to how work itself is changing and will continue to change, something the City needs to address. Jenkins agrees, saying coworking spaces represent a future of working that was started by people working digitally from home, but are now looking for something beneficial from their office space. Unit B specifically offers three things, which Jenkins and Panesar call the coworking triangle: location, amenities of the space itself, and cost. But the intangible benefits, they say, come from occupying the same space as other likeminded business professionals. Naturally, the low rent costs of office space outside of ICE District will attract many businesses to Edmonton, especially on the perimeter, but this runs counter to ICE District’s attempts to centralize the economy. 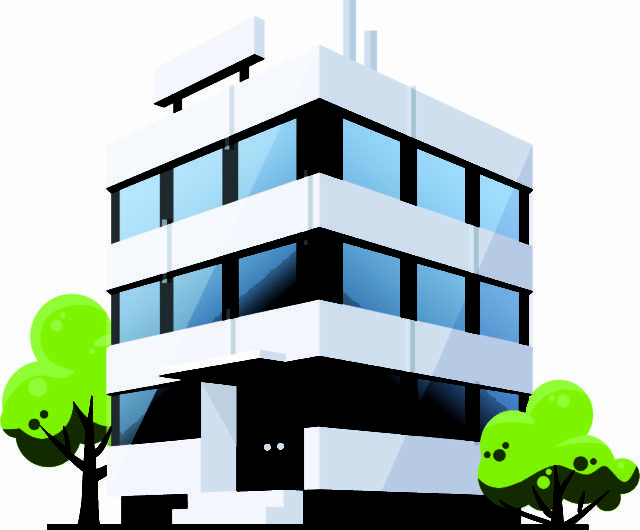 One solution often touted is repurposing older office buildings for other purposes, especially residential, but this may be unfeasible for two reasons. First, repurposing Edmonton office space on the outskirts only continues the sprawl. Second, many purpose-built office spaces are impossible to renovate into residential, regardless of potential cost.